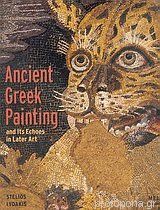 In this richly illustrated book, Stelios Lydakis traces the history of Greek painting from its earliest period in Crete and Mycenae to classical Greek and Roman times. He analyzes all of the significant surviving examples, including the colorful murals of the Minoan Palace of Knossos, the exquisite vase paintings of the fifth century B.C., and the Roman paintings and mosaics that were often copied from earlier Greek works. Lydakis also discusses those works that no longer exist, the so-called "expressions", which became the object of intense study during the Renaissance when artists such as Sandro Botticelli or Raffael attempted to reconstruct them.